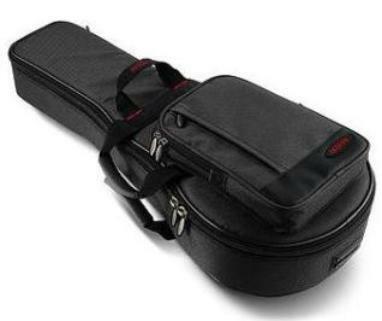 Access "Stage 3" gig bag. $105. Lightly used, here's an Access "Stage 3" mandolin bag. Universal fit design holds most F-style, A-style, or electric mandolins, right-handed or left-handed. Rigid sides and generous padding amount to more of a softshell case than an ordinary gig bag—this is one of the most protective bags you can get. Large accessory pocket. MSRP is $169; save when you buy it here. for more information. $105 plus shipping, or save 10 percent when you buy it with any mandolin I'm selling.